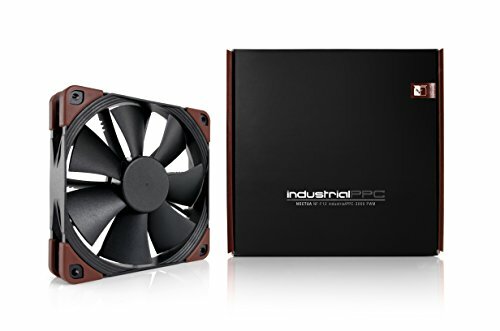 Conceived for industrial heavy duty applications that require enhanced cooling performance and advanced ingress protection, the NF-F12 industrial PPC (Protected Performance Cooling) is a ruggedized high-speed version of the award-winning retail model. Thanks to the outstanding aerodynamic efficiency of the NF-F12 design and the use of a novel three-phase motor, the industrial PPC version provides superior airflow and pressure capacity while keeping noise levels and power consumption moderate as against comparable high-speed fans. 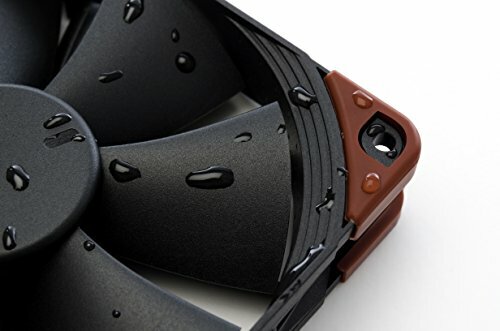 While its fiber-glass reinforced polyamide construction and certified water and dust protection make the NF-F12 industrial PPC suitable for operation in challenging environments, the renowned SSO2 bearing technology guarantees an MTBF of over 150.000hrs. 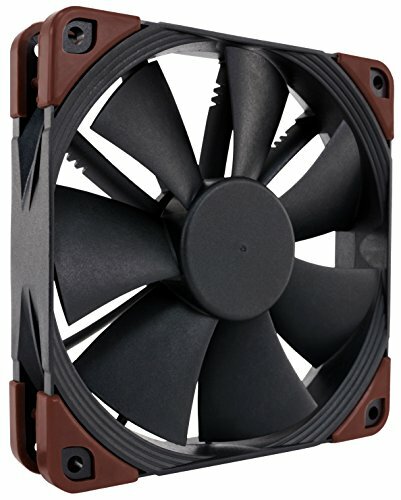 Topped off with Noctua's trusted reliability and 6 years manufacturer's warranty, the NF-F12 industrial PPC is an ideal choice for highly demanding applications that require superior flow rates and ultimate dependability. Combined with the industrial PPC series' robust polyamide construction and advanced protection features, this makes the fan ideal for challenging industrial applications. While the standard NF-F12 is one of the most energy efficient 1500rpm 120mm fans on the market, the industrial PPC version's three-phase motor provides a further 10% reduction in power consumption when compared at 2000rpm. A special varnish coating that covers the motor and PCB, the NF-F12 industrial PPC complies with the ingress protection rating IP52 means that it is not only highly dust resistant but also withstands dripping water equivalent to 3mm rainfall per minute. The NF-F12's stator guide vanes are set out in Varying Angular Distance & feature Vortex-Control Notches. Both measures help to spread the noise emission over a broader frequency spectrum & thus make the fan's sound pattern more agreeable to the human ear. Custom designed for the new Focused Flow frame and to work in tandem with the eleven stator guide vanes, the NF-F12's seven blade Heptaperf impeller has been carefully optimized to achieve a perfect balance between power and quietness. NF-F12 industrialPPC-2000 provides a significant performance boost over the 1500rpm retail version. Combined w/ the industrialPPC series' robust polyamide construction & adv. protection features makes the fan ideal for challenging industrial applications. The motor & PCB of the IP67 version are completely cast in a special, highly heat conductive resin that combines thoroughgoing protection & effective motor heat dissipation. 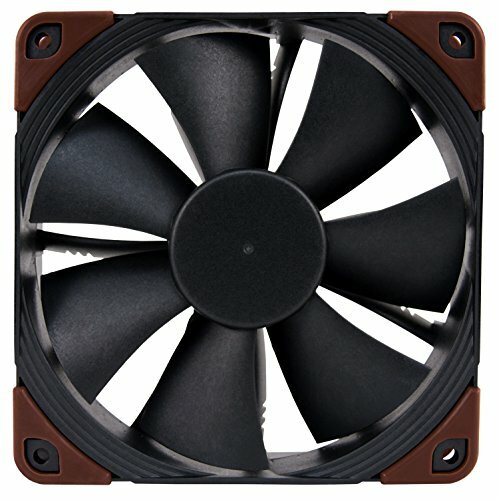 Design for pressure demanding appps like heat sinks & radiators, the Focused Flow frame features 11 stator guide vanes that straighten, channel & focus the airflow which allows the NF-F12 to rival the performance of conventional fans running at faster speeds. The NF-F12's stator guide vanes r set out in Varying Angular Distance & feature Vortex-Control Notches. Both measures help to spread the noise emission over a broader frequency spectrum and thus make the fan's sound pattern more agreeable to the human ear.